In today’s era of cut-throat competition, all of us wish to reach to the magnanimous marketing strategy of top companies, that can change our fortune overnight. 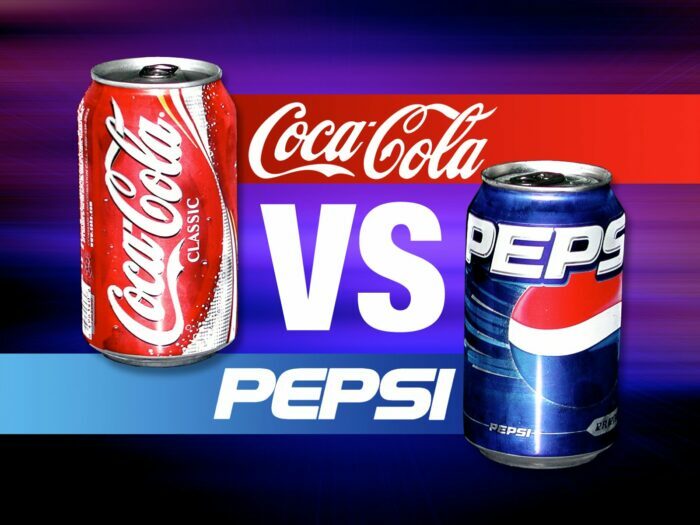 We all know about PepsiCo and Coca-Cola, they deserve no introduction. Ever thought, what if PepsiCo uncovers the secret formula of Coca-Cola? Obviously, PepsiCo can become the biggest beverage brand in the world surpassing Coca-Cola or they can just leak the formula in the market. 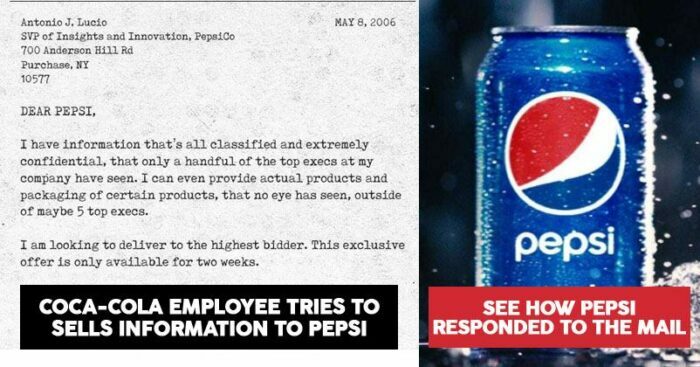 And guess what, this really happened but PepsiCo proved us all wrong and instead they informed Coca-Cola about the leak and helped them find the culprit. “Competition must be fierce, but it must also be fair and legal,” PepsiCo told us it takes strength, hardwork and a big heart to reach where they are today! In the year 2005, Joya Williams was the administrative assistant to the Global Head of Marketing and was entrusted with sensitive emails, internal documents, and yet-to-be-released products. Obviously, she did what you would have done. Williams felt she wasn’t being treated properly and thus formulated a plan to backstab the company. William along with her partner Edmund Duhaney (who was an experienced criminal and had just come out of prison) hired a middle-man named Ibrahim Dimson to execute the whole plan. 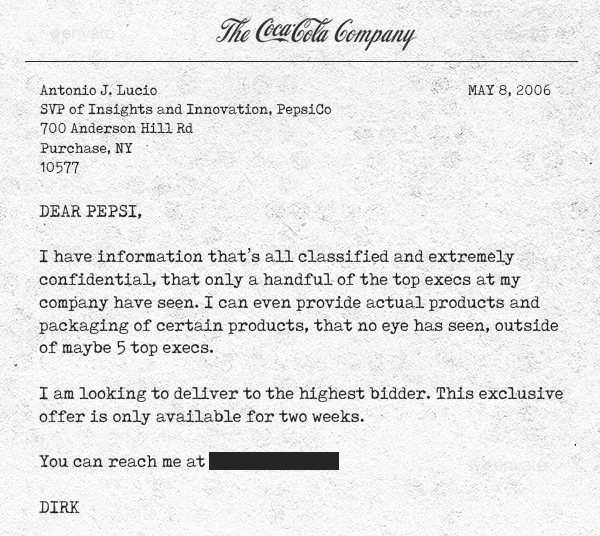 Under the disguise of “Dirk,” Dimson sent a letter (in an official Coca-Cola envelope) addressed to a Senior VP at Pepsi claiming that he was a high-level Coca-Cola executive with “extremely confidential” trade secrets. To their excitement, they received a call two weeks later from Jerry, who claimed to be a PepsiCo employee, to deliver proof that he had the documents. In response, 14 pages of Coca-Cola documents were faxed and asked Jerry to wire the money to a certain bank account to show he was a “serious partner”. $5k, they received as their payment. 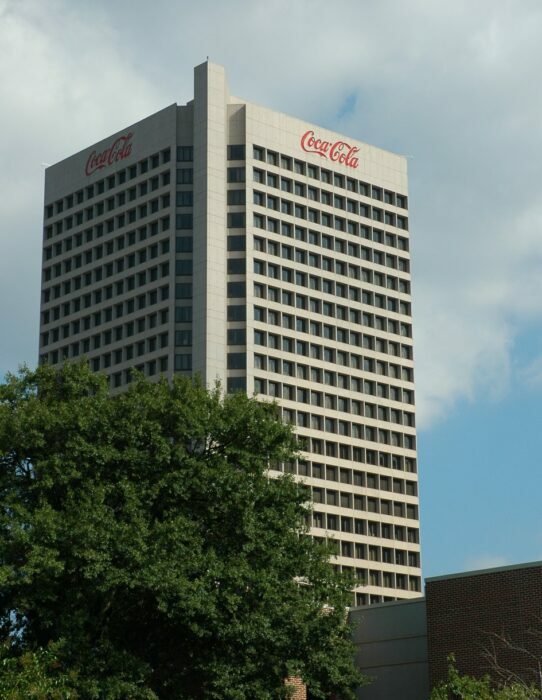 Next, one night at the Coca-Cola Headquarters, William stuffed her bad with many confidential documents and passed on to Dimson. $30k after receiving the documents and $45k after tests were the deal they fixed. In mid-June both Dimson and Jerry met at Hartsfield-Jackson International Airport in Atlanta, Dimson handed over an Armani Exchange duff bag which had the documents and I return received a Girl Scout cookie box with cash in it. Now the twist in the story, Jerry was FBI Special Agent Gerald Reichard. Months earlier, when PepsiCo received the trio’s initial letter, without giving it a second thought, they had promptly informed about it to Coca-Cola. To look into this case, Coca-Cola brought FBI for an undercover investigation. 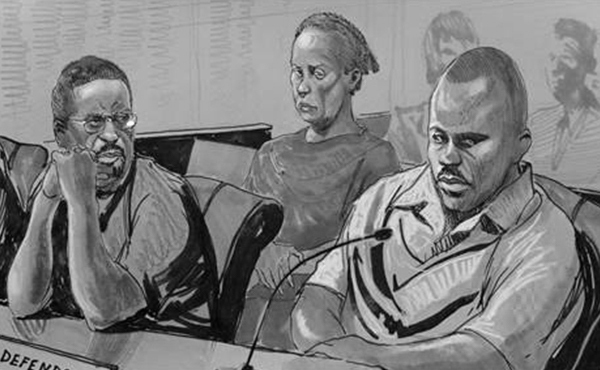 Williams, Dimson, and Duhaney were arrested on charges of wire fraud and unlawfully stealing and selling trade secrets. Duhaney returned back to the place where he started. Williams after a lot of reluctance was found guilty.